Not too long ago, BMW and Toyota entered a partnership, and we all have been waiting to see the magic wand of car that this partnership will produce. One advantage to a partnership of Toyota with BMW is the access to smooth, straight-six power. Without mincing words, although they are still running the partnership deal, the MBW Z4 and 2019 Toyota Supra will share the platform, both of the companies have hinted that the cars will be different from one another. 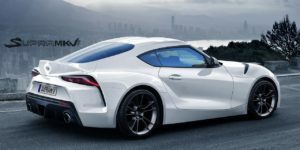 We have decided to take you through what you should expect for the 2019 Toyota Supra as its gearing up to be produced and move off the factory. Toyota hasn’t made any statement about the release date. The car hasn’t made its first public appearance too, so it is too early to make a bold statement about the release date. Nonetheless, the production is expected to start by early 2019. Everyone is always eager to want to know how much to put on the line, to rock their next ride – 2019 Toyota Supra. Unfortunately, it is too early to talk about pricing, but you can sure that we won’t leave you in the dark. For the high-performance versions, be ready to pay a lot more. The digital driver’s display and the design of the leather-wrapped steering wheel, isn’t necessarily very exciting. There have been rumors that the Supra could go all-wheel drive; there are confirmed sources that say that it will be rear-drive, like all Supras before it. Toyota has said that this 2019 Supra won’t need a manual gearbox and that this only offering will come with silver shift paddles specifically for automatic transmissions. Just like the prices, and the exact launch dates, we may have to wait a little longer to get all the details about the 2019 Toyota Supra. In its March 2018 issue, there have been publications by various media sources that the Supra would have a 3.0-liter turbo inline-six with 335 hp and 332 lb-ft of torque with an additional 37 lb-ft on overboost. These figures above match BMW’s 40i engine, as used in the M240i and other cars in its lineup. 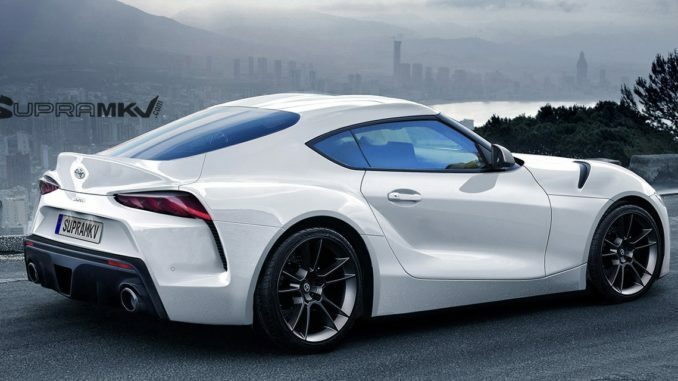 There have been rumors that the Supra could receive four-cylinder power too, but this is unconfirmed to the true. Nonetheless, the possibility of a future hybrid variant can’t be ruled out, but it sounds like, based on different conversations around this Supra, it will debut with a turbocharged straight-six. The screen designed to give you topical information and all round entertainment is strategically seated on the center console, slightly above the air openings and the climate control knobs. To a large extent, when you look at the dashboard, it has a close similarity to what is seen in BMW Z4. This can be a strong pointer that the interior of this car may have a lot of interior similarities with the BMW.